In the last post , we shared some of our success stories with you . We’re glad to say that the stories of utter happiness have been pouring in , and we’re only too glad to share them with you . Without further ado , here is our attempt to say thank you to our amazing customers ! Sharon ended up spending 20 $ worth of her free credits , mostly because of the views that she was getting out of it . 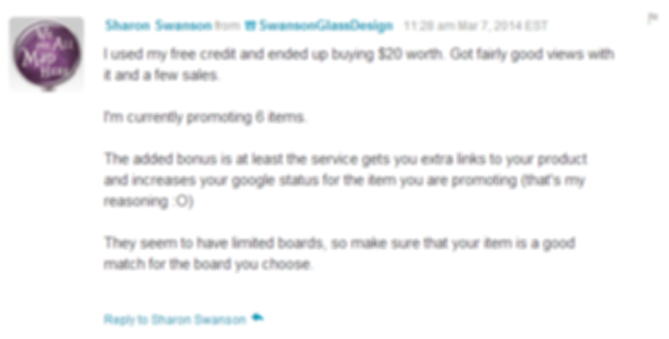 The added bonus is that we , at storewoot , get you the extra links for your products and increase the google status for the items that you are promoting , which is what has exactly happened with Sharon . Glad to see things are working , Sharon ! Josh Martin from HamakuaWoodWorking . Josh got 27 views from flat zeroes in less than three hours ! . If this pans out well for him , he wouldn’t mind taking a 15 % hit on his profits , because more the views , more the sales ! . Glad to see it working out for you , Josh ! Gary made his first sale after ages , all thanks to Storewoot . He was so happy that he paid the extra 6 $ for three more products and his product views are significantly higher now . He doesn’t do twitter or Facebook , so Storewoot seems to be working out pretty well for him ! . Willow Cartright from simplywillow . Willow is happy because he has had out of the 5 pins he spent , he had a lot of views and repins , along with one sale . 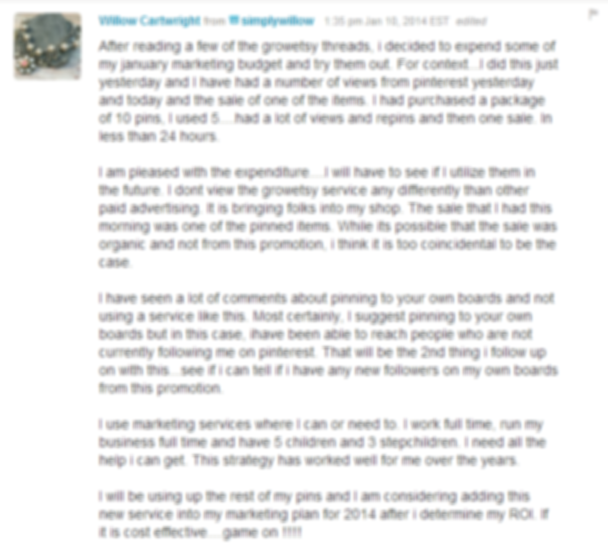 He has seen people who are not following him on pinterest view his products , which is exactly what Storewoot does . He will consider using up the rest of his pins and maybe expanding his marketing budget , if things continue to work out . Game on , Willow !